Please navigate to your plan below to find the meeting dates and agendas for 2018. Once agendas are received, they are linked to the meeting date associated. The election process has begun to fill two positions on the Board of Trustees of the Public Employees’ Retirement System; one State representative position and one Municipal representative position. Election notices were distributed in early-October to all employing locations with enrolled PERS State members and to all employing locations with enrolled PERS Municipal members. The Certifying Officer at each employing location is required to distribute this information to all eligible employees when the notice is received. Nominations are being accepted to fill the “State” representative position on the PERS Board of Trustees. A State representative will be elected for a three-year term beginning July 1, 2019 and ending on June 30, 2022. A member who wishes to be a candidate for the PERS State position must be an active or retired PERS State member and must be nominated by at least 500 active State members. Only active PERS-State members may nominate a candidate for the PERS State position. If you wish to declare your interest in running for this position, please send a written request by December 3, 2018, to the PERS Board Secretary at NJBOT.Nomination@treas.nj.gov or P.O. Box 295, Trenton, N.J., 08625-0295. Nominations must be received online or arrive in the Board Office on or before 4:00 p.m. Friday, January 4, 2019. If more than one State candidate receives 500 or more nominations, an election will be required. Election ballots will be mailed to PERS State employers for distribution on or March 27, 2019. Instructions for the nominating process are available upon receipt of a written request to the Secretary of the PERS Board of Trustees. After candidates have declared their interest in becoming a PERS Municipal representative, nominations to support a candidate are made primarily through a secure Web site. The process is easy and it only takes a few minutes to support the candidate of your choice. You just need to have access to a computer and log on to HTTPS://VOTE.ELECTION-AMERICA.COM/PERS-STATE and follow the simple directions. You will need to provide the last (4) digits of your social security number, the first (4) letters of your last name, and your birthdate. You will then see a list of all the candidates, and you can make your selection. Nominations are also being accepted to fill the “Municipal” representative position on the PERS Board of Trustees. A Municipal representative will be elected for a three-year term beginning July 1, 2019 and ending on June 30, 2022. A member who wishes to be a candidate for the PERS Municipal position must be an active or retired PERS Municipal member and must be nominated by at least 300 active Municipal members. Only active PERS-Municipal members may nominate a candidate for the PERS Municipal position. Nominations must be received online or arrive in the Board Office on or before 4:00 p.m. Friday, January 4, 2019. If more than one Municipal candidate receives 300 or more nominations, an election will be required. Election ballots will be mailed to PERS Municipal employers for distribution on or March 27, 2019. The process is easy and it only takes a few minutes to support the candidate of your choice. You just need to have access to a computer and log on to https://vote.election-america.com/PERS-Municipal and follow the simple directions. You will need to provide the last (4) digits of your social security number, the first (4) letters of your last name, and your birthdate. You will then see a list of all the candidates, and you can make your selection. After the candidates have declared their interest in becoming a PERS State or Municipal representative, nominations to support your choice for a candidate are made electronically through a secure web site. Please allow sufficient time after this notification for State and Municipal members to request candidacy and to have ample time for the vendor to enter the candidate’s name in the online system. The Board of Trustees of the TPAF adopted N.J.A.C. 17:3-1.4, which sets forth the procedure for the election of a member-trustee. Edward Yarusinsky from Warren County representing Group B will begin his three year term on January 1, 2019. The current election is to fill a trustee position from Group C, for a three year term commencing on January 1, 2020. Group C consists of Atlantic, Burlington, Camden, Cape May, Cumberland, Gloucester, Hunterdon, Mercer, Ocean, and Salem. Names of those who wish to become a candidate for this position must be a resident of the State of New Jersey and must be employed in or retired from one of the counties listed above in Group C. Written letters of interest for this position will be accepted by the Secretary of the TPAF Board no later than March 1, 2019. In the event that more than one candidate has registered with the Board Secretary, an election will be required which is conducted electronically via the member’s Member Benefits Online System (MBOS) account. The delegates and alternates selected from the membership of each county shall vote for the member-trustee. We would like to thank those delegates and alternates who registered this year with their respective county. These names will remain active through May 31, 2019. Please remember to register with your respective county for the 2020 election of a member-trustee. Information on the selection of the delegates/alternates should be available with your respective County Superintendent’s Office on or about March 2019. It is IMPORTANT for the counties to continue to annually submit the names of delegates and alternates. Eligibility is determined by where you worked-not your residence; therefore, the county contact will be based on the county where you are currently employed or your school district at the time you retired. If you are interested in being a delegate/alternate for the 2020 election of a member-trustee, contact your respective County Superintendent’s Office. In order to participate in an election, a delegate/alternate must have an MBOS account in order to cast their vote. If a delegate/alternate has not established an MBOS account we recommend that they do it by accessing it through the Division’s website which is available at http://www.nj.gov/treasury/pensions/mbos-register.shtml. If a delegate/alternate has established an MBOS account, you may access your MBOS account via the Login link on the State of New Jersey homepage at http://www.nj.gov. 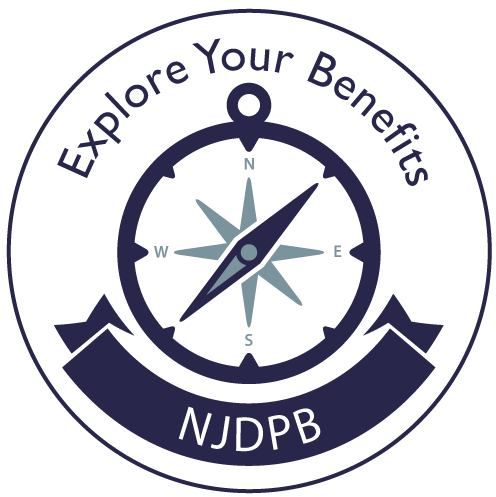 We encourage you to periodically visit the Division of Pensions and Benefits Web site, through the link, http://www.state.nj.us/treasury/pensions/board-meetings18.shtml for information regarding future elections. Render determinations regarding Disability Retirement cases. Resolve individual questions on the merits of each case in terms of statutes, opinions of the Attorney General, advice of the Actuary, and cases cited by counsel as deliberated by the Courts. P.L. 2018, c. 55 (Chapter 55), established a new Police and Firemen’s Retirement System (PFRS) Board of Trustees which will replace the current PFRS Board of Trustees, effective February 1, 2019. The Board of Trustees has the general responsibility for the operation of the PFRS under the provisions of N.J.S.A. 43:16A-13. The Board meets monthly. September 26, 2018 - 12:30 P.M.
*Rate Renewal Meetings held at 1:00 p.m.
June 22, 2018 - 1:00 P.M.
October 31, 2018 – 1:00 P.M.
November 28, 2018 – 1:00 P.M.
June 26, 2018 – 10:00 A.M.
August 1, 2018 – 1:00 P.M.
September 17, 2018 – 10:00 A.M.
October 22, 2018 – 10:00 A.M.
November 19, 2018 – 10:00 A.M.